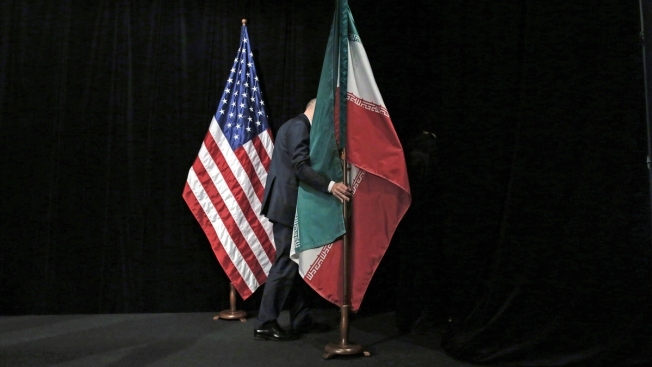 An Iranian official claimed its cyber activities "are defensive in nature and necessary for our country's protection"
This July 14, 2015, file photo shows the Iranian flag being removed from the stage after a group picture with foreign ministers and representatives of the Unites States, Iran, China, Russia, Britain, Germany, France and the European Union during the Iran nuclear talks at the Vienna International Center. Iranian hackers have laid the groundwork for extensive cyberattacks on U.S. and European infrastructure as well as private companies, multiple senior U.S. officials told NBC News. 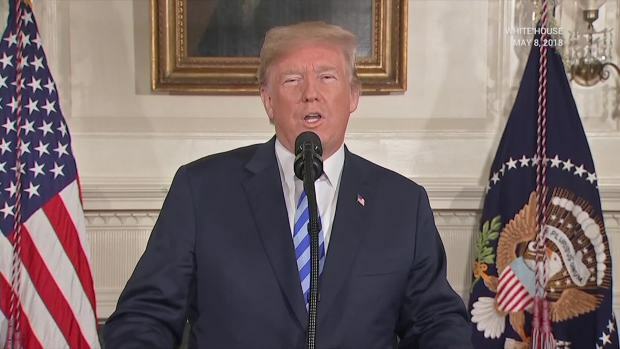 The U.S. is hardening its defenses, warning allies and weighing whether to counterattack, though there is no indication an Iranian operation is imminent, according to the officials, who spoke on condition of anonymity. Thousands of water plants, electric grids and health care and technology companies in the U.S., Europe and Middle East could be hit with denial-of-service attacks in the event of a strike. A U.S. National Security Council representative declined to comment, while a representative of Iran's mission to the United Nations claimed that it's the U.S. which is the "most belligerent cyber attacker of any nation" and said, without commenting on specific operations, that Iran's activities in the space "are defensive in nature and necessary for our country's protection."